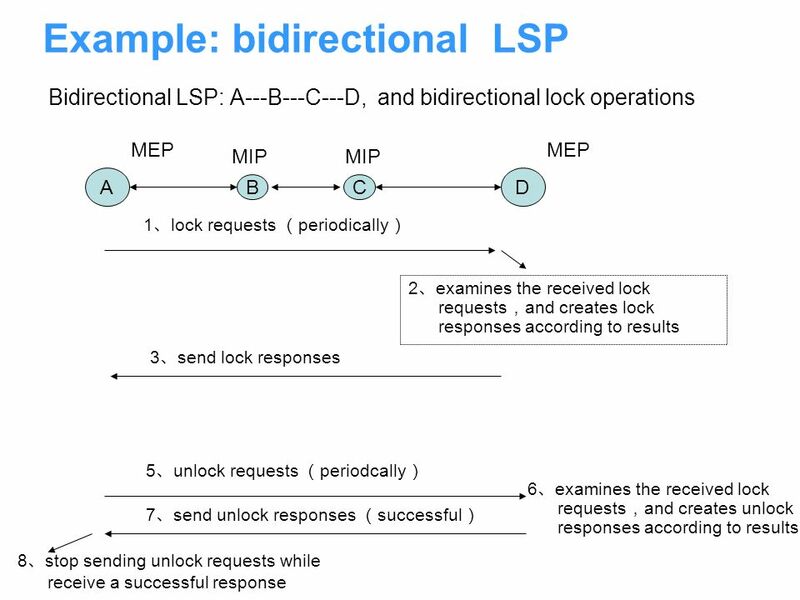 3 Introduction The aim of this document is to define an MPLS-TP OAM mechanism to meet the requirements for Lock Instruction functionality as required in MPLS-TP OAM Requirements. Function: enable an End Point of a PW, LSP or Section to instruct its associated End Point(s) to lock the PW, LSP or Section. 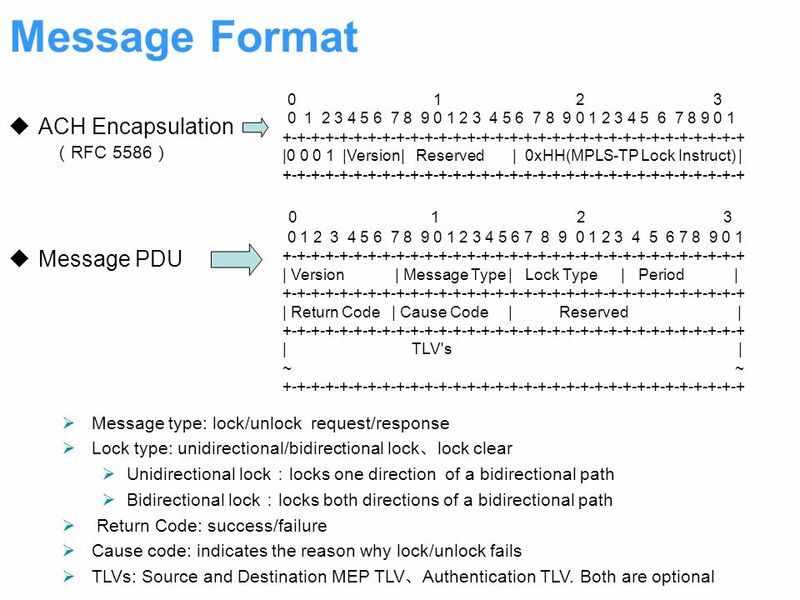 Download ppt "MPLS-TP Lock Instruct MPLS WG, IETF 76, Hiroshima, 9 Nov 2009 draft-dai-mpls-tp-lock-instruct-00draft-dai-mpls-tp-lock-instruct-00 ZTE Corporation Xuehui." 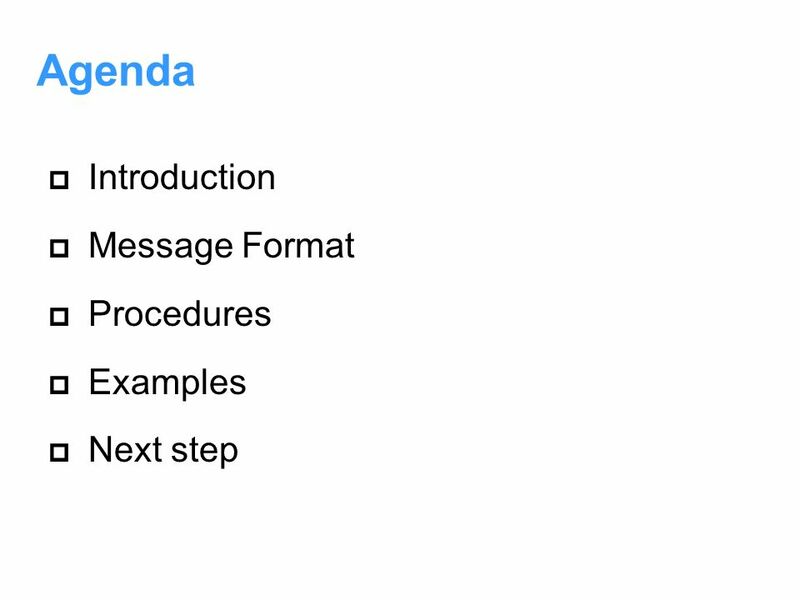 Slide title In CAPITALS 50 pt Slide subtitle 32 pt GMPLS RSVP-TE Extensions for OTN and SONET/SDH OAM Configuration draft-kern-ccamp-rsvp-te-sdh-otn-oam-ext-00. Page - 1 Stateful PCE Kexin Tang Xuerong Wang Yuanlin Bao ZTE Corporation draft-tang-pce-stateful-pce-01.txt. Pseudowire freeze mechanism draft-jin-pwe3-pw-freeze-00 Lizhong Jin Bhumip. Khasnabish. George Swallow. 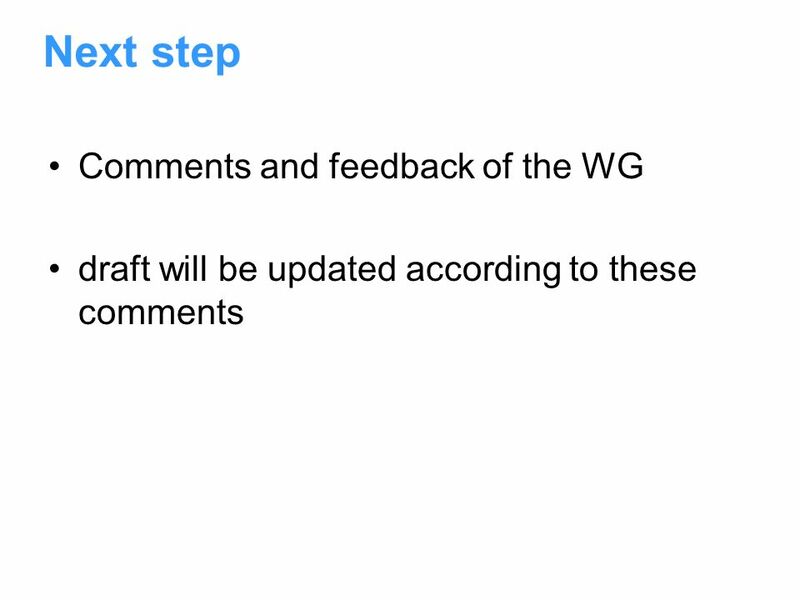 Updated draft based on presentation in Stockholm Changed LSP-ID to have only one LSP-Num since this is sufficient to be unique within. Copyright © 2004 Juniper Networks, Inc. 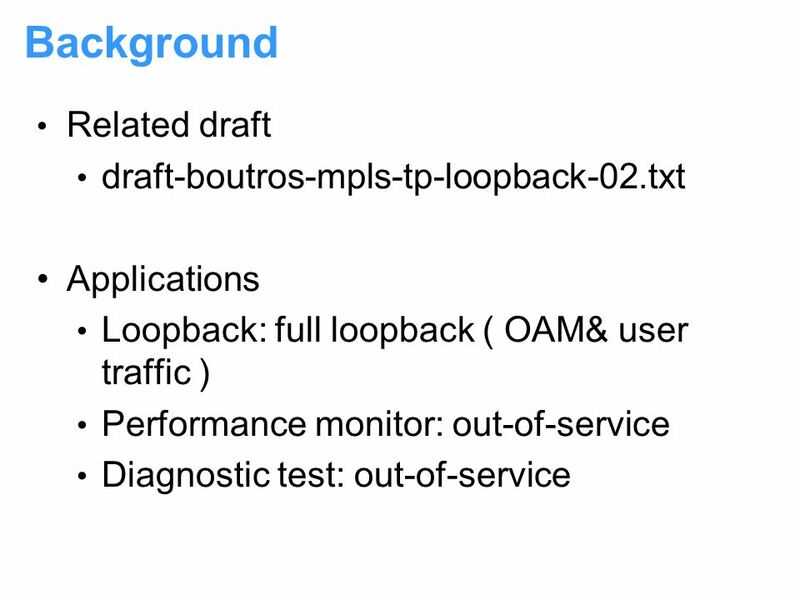 Proprietary and Confidentialwww.juniper.net 1 LSP-Ping and BFD for MPLS-TP draft-nitinb-mpls-tp-lsp-ping-bfd- procedures-00. Page - 1IETF 76, Hiroshima, November 8-13, 2009 Explicit Control of Region Boundary for PCE-Based Inter-Layer draft-lin-pce-ccamp-multilayer-lsp-00.txt. OLD DOG CONSULTING Challenges and Solutions for OAM in Point-to-Multipoint MPLS Adrian Farrel, Old Dog Consulting Ltd. Zafar Ali, Cisco Systems, Inc.